OLD PARKED CARS. 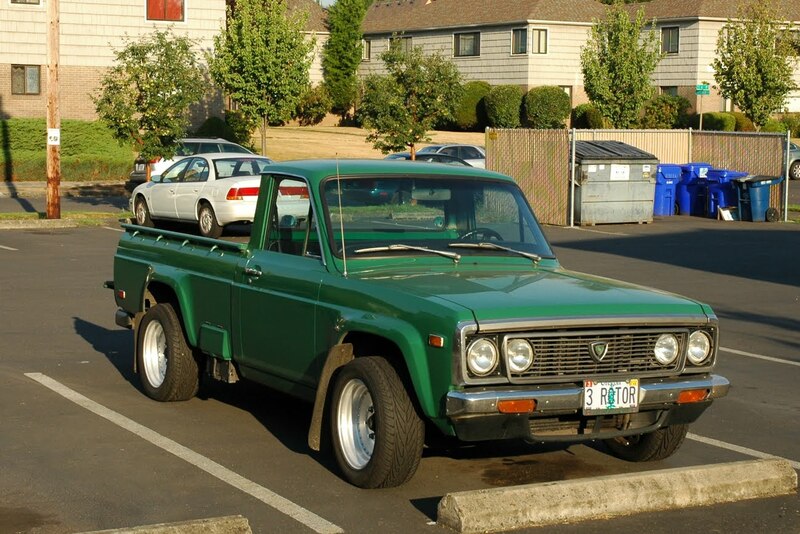 : 1973 Mazda Rotary Pickup. Sick. I love REPU's. The fender flares are perfect. Sick. How awesome is that! It can't be original... or can it? I've been itching to see a clean REPU for years. What cooler truck is there? I doubt this is the original paint, but it's rad that this isn't hiding in a garage somewhere. 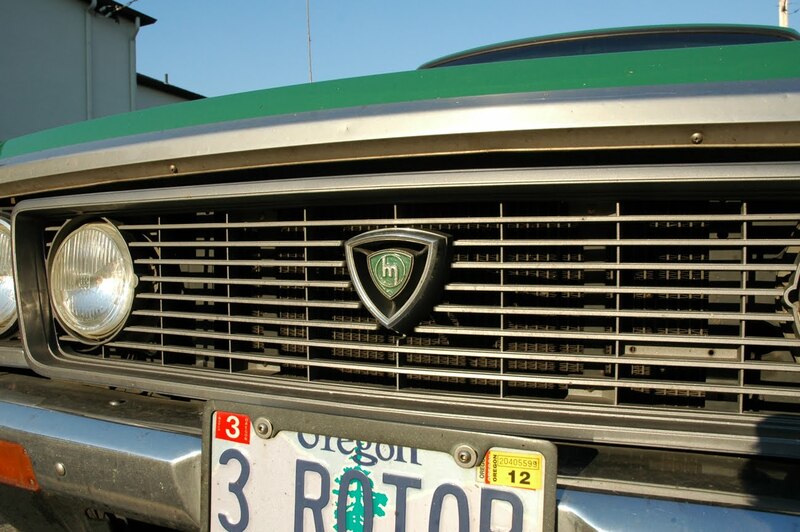 And that license plate makes me dream of what could be under the hood. 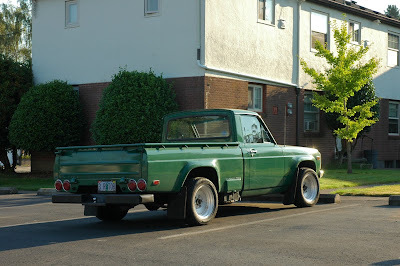 Holy moses, this is a new class of cars for me: "wankel-pickups". Me being in EU and this model was sold only in US&Canada, not a big surprise, but a surprise anyway. Quick peek into wiki tells us that there is only one. If you ever see these photos. I hope you don't mind that I closed the tailgate to best feature your truck. Just like setting foot on someone's property to take a car picture, closing this tailgate didn't feel right. But I felt like I had to maximize the brief moment of opportunity while I had it. bad idea bucket list car, for sure. 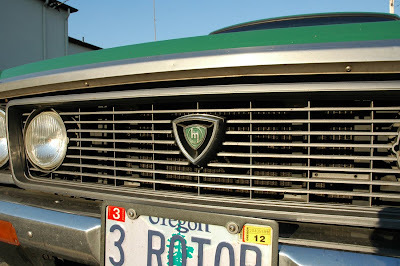 i've wanted one of these for the blog since day one and have yet to see one in person. i see them on ebay pretty regularly, but they're always really tired and customized. 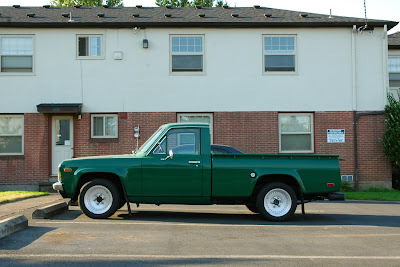 actually, with those factory fender flares, i have a hard time telling what's the proper stance for one of these. those white steel rims look huge and correct at the same time. thank you for closing the tailgate. that rear angle is glorious. who can fathom those taillights????????? I'd say this stance is too wide. Those look to be 7" or 8" wheels and the factory wheels were only 5.5" and filled the fender flares quite well. This owner is protecting his respray from rock chips with giant mudflaps. I'll give him a pass though since it is likely a 20b under the hood.